Laid down, 26 June 1944, at Boston Navy Yard, Boston, MA. Final Disposition, sold for scrapping, 16 December 1947, to the Learner Co., Oakland, CA. 184k Invasion of Cebu, March 1945. 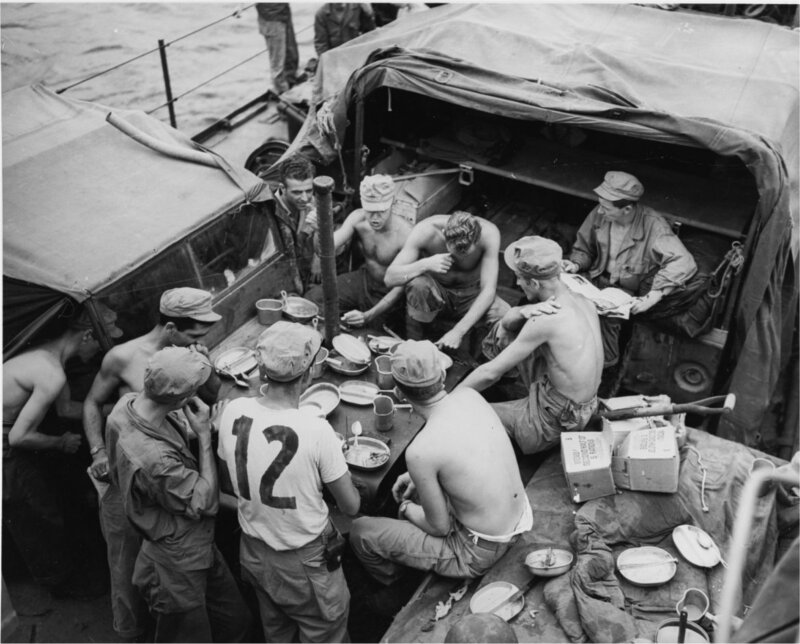 Americal division troops on board USS LST-1035 eating, while enroute to the Cebu landing, 25 March 1945.